This is a guest post by Leeni Harmainen. Internal communication, meaning all that hustle, talking, writing, information sharing and discussions you have with your team everyday both horizontally and vertically, directly affect your company’s bottom line results. The efficiency of internal communication influences the effectiveness of change management, company culture, team effectiveness and productivity, as well as the overall performance of your business . When it works, your team members are more passionate about their jobs and have a stronger relationship to your company, they are also less likely to change jobs . One of the trickiest parts of internal communication in startups is, how do you make sure your team is able to process the gigantic amount of important information, and how do you do that efficiently . This challenge should be solved sooner than later, as it only grows with your company . No more citing academic studies, time for some hands-on tips. Pick up the right tools. When you notice e-mail losing its status as a main tool for internal communication, you know your team is doing something right and your internal communication just got a lot more efficient. Slack – Bye bye internal emails, welcome smart communication. 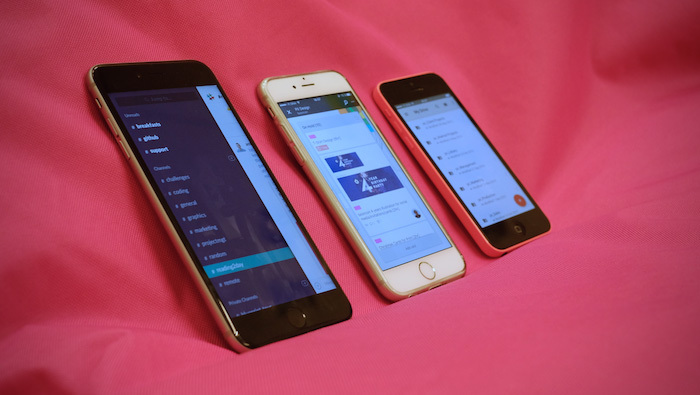 Slack is an all-round communications solution that every startup needs to check out. It is no accident Slack is one of the most popular communication tools used by startups in the world. You can set channels for different topics, start private group messages and pick your favourites from dozens of integrations. Connect your Slack with Twitter, your customer support, calendar or Github for example and get all of your notifications from different platforms to your Slack. Google Drive – Collaborative working on every device.Sending documents as attachments in internal e-mail messages should be banned. From a wide selection of cloud based file hosting services, Google Drive is especially good if you need to work on files together remotely. Trello – Efficient to-do and task management. Trello is a good solution for those seemingly endless to-do lists and tasks. Set up boards for different topics (e.g. marketing, sales, production) and add different lists with individual cards that count as to-do’s for each board. You can also tag people on cards to mark tasks as their responsibility and set due dates among many other cool features. Tip: Don’t forget the countless integrations available for Trello as well. Check out GitHub, Slack and Basecamp for example. Yousician is a Finnish educational game development company, which has grown rapidly during recent years. It was listed number 5. in the Technology Fast 50 list by Deloitte in 2015 with a growing rate of 674%. The Yousician team has grown from 17 in 2014 to 32 now. Process – it’s not a forbidden word. Startups don’t exactly love processes. However, internal communication needs a few of them to function and to be able to scale with your business. Office breakfasts – a weekly face-to-face session with your whole team.It’s important to have some quality offline time with your team. Reserve 45min every week for eating breakfast together and going through all current topics. These can be e.g. ongoing projects, internal issues or the schedule for upcoming weeks. Define “responsibility” – everybody should have the same meaning for it.Define and communicate what it means if a person is responsible for something and what are the steps in the process. Who should know about the progress and which communication channels should be used. Documentation – memos & company wikiMake sure information isn’t only in your head. Life happens and there will become a day when you can’t turn to the person next to you for the info you need. This is why it’s important to have a process for documenting information. Write meeting memos and consider starting a company wiki, where all the essential internal information can be found easily. Remember, having a process doesn’t cut it, you have to follow it through consistently to benefit from it. Tip: For a great company wiki, check out Discourse! Reflection – look back on what to keep, ditch and improve. This one should be a no-brainer. You need to measure and check what works and what should be changed also with internal communication. Feedback sessions – make this a habit.Gather feedback on how the internal communication in your team is working on a regular basis. Based on the feedback find out if the message you communicate serves the right purpose, if the methods you use are right, and if there’s something that annoys your team members. Tip: There are many creative ways to gather feedback. You can directly ask what your team thinks about internal communication or you can test whether they are familiar with the information you tried communication internally – if not, there’s usually something wrong with the process, the message or the tools used. Internal communication directly affects your company’s success. This is why now is the perfect time to figure out who is responsible for internal communication and its development in your team. Test out different tools, define needed processes and make sure you have a continuous feedback loop for measuring and developing internal communication. And lastly, don’t ever undervalue the importance of internal communication (again). Leeni works in our co-op, coach company booncon PIXELS, an international Experience Design Studio. During 2015 the PIXELS team coached 41 startups on branding and websites and noticed that very often the problems in these two actually come back to poor internal communication, which is why we invited Leeni to write this post. : Yates, K. (2006) Internal communication effectiveness enhances bottom-line results. Journal of Organizational Excellence, 2006 (summer), 71–79. Rode, V. & Vallaster, C. (2005). Corporate Branding for Start-ups: The Crucial Role of Entrepreneurs. Corporate Reputation Review. 2005, 8(2), pp. 121–135. : Larson, 1989; MacVicar & Throne, 1992; Dozier, Grunig, & Grunig, 1995; Blanchard, 1996, in Saini & Plowman (2007).